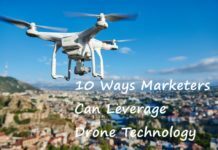 Drones have gained massive recognition in the past few years, and with so many options available in the market today, it can be overwhelming. 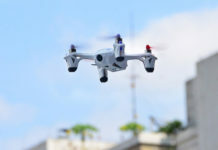 Whether you are a professional videographer, drone racer, or just trying out a new hobby, there are tons of things to look into before you make a purchase. 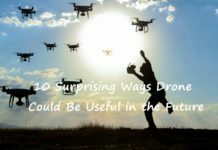 This article will help you decide which drone is the best for you and give you research bullet points you can use especially when shopping on Amazon. 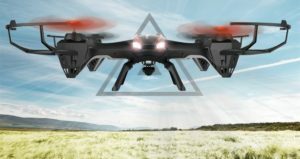 There are many drones under $100, that will give you the needed thrill of flying, but they fall short when it comes to the features. For this guide, we looked into the price, camera specs, and responsiveness to flight software, battery life, and more to compile this list. Without further ado, let us look into the best drones under $200. 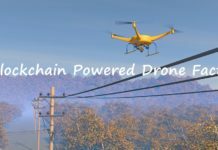 Syma has been producing drones best suited to drone hobbyists as well as professionals looking to incorporate drones into their work schedule. It is easy to fly, and they are equally stable, durable, and adaptable. 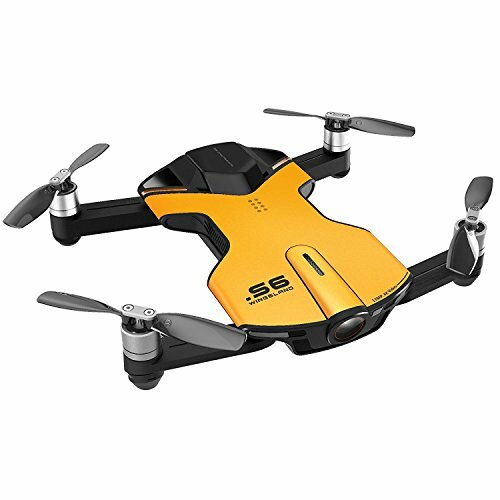 The X8HG is one of the best drones from Syma, and it has a host of features that can rival much more expensive drones. The Syma X8HG has altitude hold and spots one of the best HD cameras on a drone. It has an adapter for Go Pro and other action cameras if you wish to get better footage. The camera can take 1080p quality videos that come in handy if you want to get a bird’s eye view of the flight path. 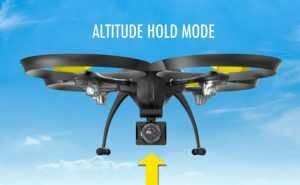 It is one of the few drones under $200 with altitude hold. This feature allows you to lock in the altitude to capture amazing stills and HD videos. The remote control has a 100-meter range, and with a fully charged battery, you get 7-10 minutes of flight time. 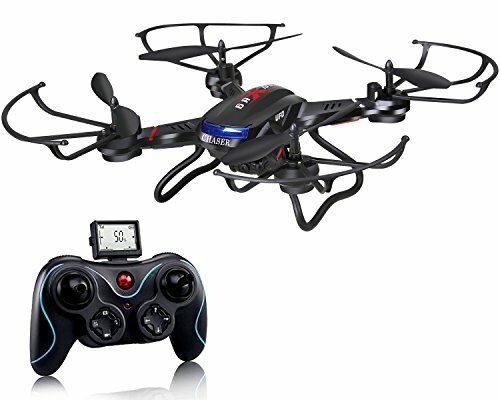 The Syma X8HG is well priced at between $191.59+$1.00 shipping cost on Amazon and t depends on your preferred seller. However, be sure that the seller ships the drone to your country. 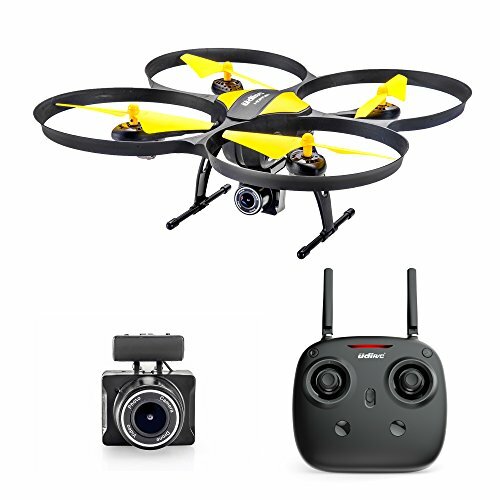 It is a perfect drone for hobbyists looking to get their experience in drone flying. 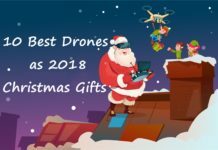 It is a perfect gift for children and adults looking to get their first drone flying experience. The best thing is that you can have it gift-wrapped before it is delivered. This is another of the best drones you can get for less than $200. It is much larger than the Altair AA108, as well as being more stable. It scores high for having better hovering capabilities, which gives you the ability to get the right focus and the perfect aerial shot. It has a wide-angle 720p camera as well as a TF card if you like to start recording videos from the time it takes off. The package comes with 2 Li-Po batteries, and a fully charged battery gives you a maximum of 15 minutes of flight. With the two batteries, you get an increased flight time of 30 minutes and minimized downtime. This means that photographers and cinematographers that do long shoots will appreciate the Altair 818+ is an acceptable drone to have. The remote control comes with a smartphone clip, and this means that you can stream FPV footage to your smartphone from 60 meters away. However, the remote control has a 150-meter range, and you can record impressive aerial videos with great accuracy and watch them later. It also packs new functions such as Altitude Hold Mode, Headless Mode, Emergency Landing, Customer Flight Route Mode, and more. The Altair 818+ is fairly priced on Amazon, and you get sellers quoting different prices, but the acceptable price range is between $159.80. Be sure to check if your preferred seller ships to your country, and if they can gift-wrap it for you if you wish to purchase it as a gift. The Altair 818+ is the perfect drone for drone hobbyists interested in drone racing and videography and photography. 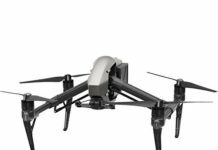 It is fairly priced, and it comes with motor and rotor blade protection to ensure that it stays intact before you learn how to maneuver the drone along its flight path. This small drone gives pilots decent all-around performance. 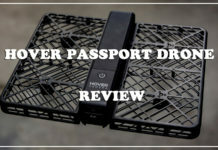 Customer reviews indicate that it is a versatile drone, and the best thing is that it has a great set of features and a good camera to boot. 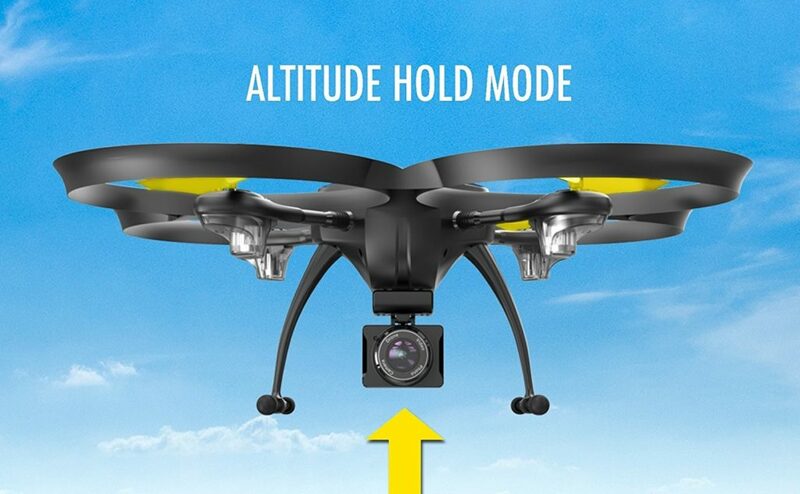 One of the best features is the altitude hold feature, which is not common in entry-level drones. It also has a One Key Return that when triggered the Holy Stone F181C will fly back to your location. These two features will come in handy especially for beginners who do not have much experience in drone control. It has a good camera too capable of recording 1280 x 720p videos, and when the altitude hold feature is triggered, you can get amazing stills. However, you will have to contend with hardly noticeable shakiness, but you will be pleased with the resulting media. The Holy Stone F181C uses a 750mAh 1S Li-Po battery that gives 7 to 9 minutes of flight time. The remote controller looks like a console has a 2.4GHz transmitter, and you can control the drone from 80 meters away. The Holy Stone F181C packs many features expected in much more expensive models, for $99.99. If you are looking for a versatile drone without breaking your bank, then Holy Stone F181C is the drone try out. Despite its small size, the Holy Stone F181C packs amazing features and capabilities, and you will be glad you bought it. However, to minimize the downtime, you will need to buy extra batteries, since it takes approximately 80 minutes to charge the Holy Stone F181C battery. It is recommended that you wait at most 10 minutes after the battery change to avoid overheating the motors. Keep reading to see other drones under $200 before you make the purchase. The Altair Aerial Blackhawk is an amazing drone sometimes too good true. It gives 15- 17 minutes of flying, and you can fly it as far as 500 meters before it goes out of range. The numbers read like those of much more expensive drones, and it is unbelievable that you will get it all on a $129 drone. 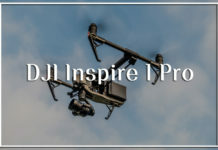 The camera that comes with the drone s of acceptable HD quality, however, it is GoPro and other action cameras ready, for drone pilots who want to get better quality videos and stills. 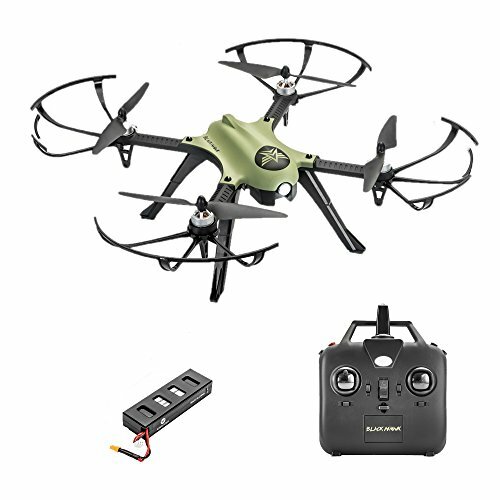 In the shipping package, you will find the quadcopter-style drone, the remote controller, 1 Li-Po battery, a GoPro camera mount, 4 rotor blades, 4 high landing gears, wrench, screwdriver, and 4 rotor blades, guards. It has bright color-coded LED lights that make it easy to monitor the drone, especially when flying in dark conditions. It also incorporates various high and low-speed modes that makes it perfect for flying indoors and outdoors. The Altair Aerial Blackhawk is nothing like any of the entry-level drones in the market today. For $104.80, you can get the drone that packs more punch that you would give it credit. The Altair Aerial Blackhawk looks better without the rotor blade protectors. However, before you get the hang of flying it is inevitable that you will crash it a few times, so keep them on until you learn your way around it. 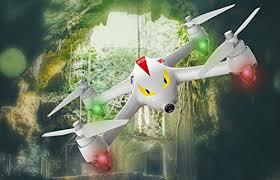 It is one of the best drones, especially with its high and low-speed modes. 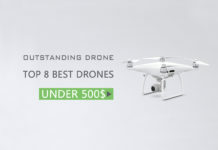 This drone is one of the easiest to fly on this list, at an affordable price too. It is a sturdy drone given that it uses brushless motors, and so it means more stability when flying. 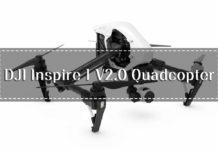 It has an integrated camera that gives you the capabilities of enjoying FPV transmission, and so it means that you will be able to watch what the drone sees. Before you get the hang of flying as a beginner, the Hubsan H107D’s sturdy body will endure various crashes and still function optimally. 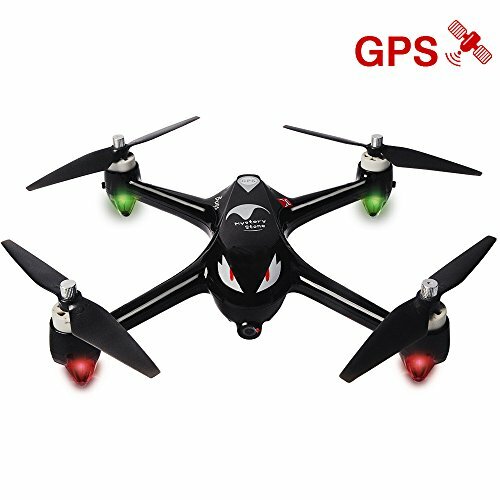 It is fast, highly responsive, and it does not malfunction when flying on a low battery voltage. Instead of the common Wi-Fi transmitted video downlink, you get the top of the line 5.8 GHz FPV. What this means is 720 x 240p, which is a lower video feed resolution. However, you will not get any interruption from any other aircraft near your drone. With such an incredible FPV transmission, you can take the drone as fast as it can go and do high-speed maneuvers. You get a good FPV feed from 100 meters away. A fully charged battery gives you an average of 6 minutes flight time. The battery takes approximately 60-80 minutes to charge, and so you need an extra battery to minimize the Hubsan H107D’s downtime. This versatile small drone is affordable with prices below $200. Various sellers on Amazon offer amazing deals, however, confirm that they will ship the item to your country before you start processing the payment. Hubsan is one of the notable drone manufacturers and their entry-level drone, Hubsan H107D, outperforms other options in the market. It it will give you the experience as you prepare for a more expensive drone with better features and performance. The one thing that makes this drone stand out is the fast charging battery, which reduces the downtime significantly. It is built to handle rough landings with grace, and it is available in various color combinations. It is one of the few entry-level drones that comes with a smartphone app you can use to fly alongside the standard 2.4GHz controller. When using the app to fly, you can control the camera angle using the gravity induction mode. DBPower UDI U842 Predator flies optimally in light wind conditions, and the best thing is that you can fly it indoors as well as you can fly it outdoors. It has among other flight modes, the headless mode, and RTH functionality. 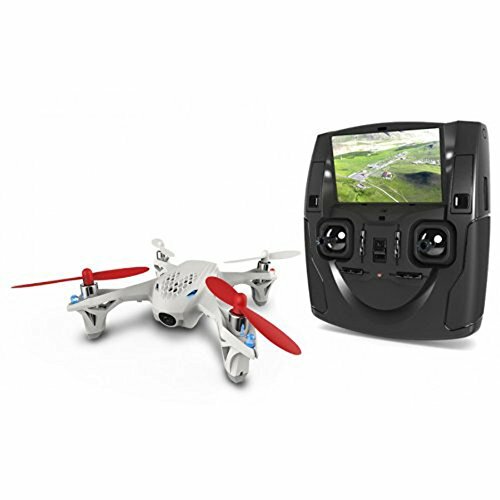 It is stable during flight, and it is easy to control, with decent camera quality. You will get a microSD card as well as an extra battery included in the shipping package. It is a proper drone worth buying. You can get it on Amazon for $199.99 or $114.95 using a coupon. More so, you can have it gift-wrapped before the seller ships it to the delivery address. On average, this is a good drone to have, especially for children and adult drone hobbyists. With the rotor blade protection, it will continue flying after a few crushes. It is a hardy drone, and it has an average of 4 stars out of a possible 5 stars. There are two versions of the MJX Bugs 2, the B2C, and B2W. However, we will go with the better B2W, which is a full-featured GPS drone complete with an HD camera. The MJX Bugs 2W give drone hobbyists and budding professionals the ability to view an FPV transmission from the drone, which takes one of the best videos and stills of a camera for an entry-level drone. The MJX Bugs 2W has a stable flight path and it helps matters that it has altitude hold as well as GPS. While it has the return home capability, it lacks the orbit capability, and you cannot program the GPS waypoints. 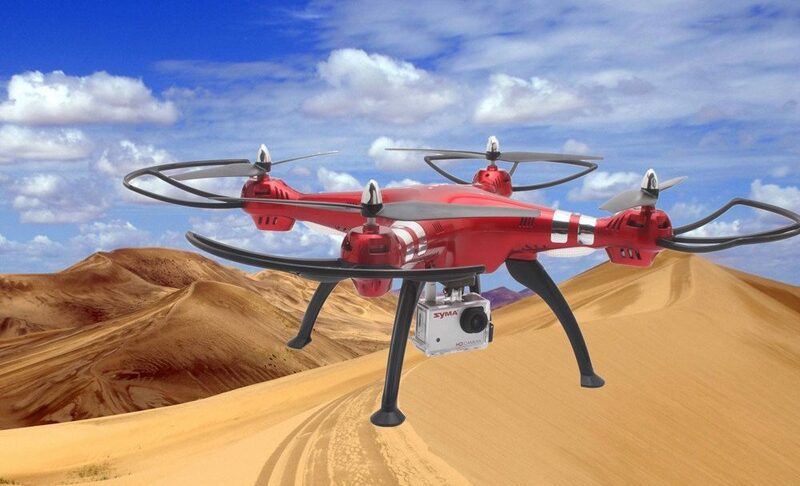 However, besides this, it has a 1000-meter range on video recording without FPV. However, it has an impressive 500-meter Wi-Fi FPV range. On a fully charged battery, the MJX Bugs 2W will give you at least 18 minutes of flight time. 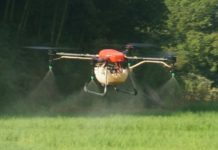 It also comes with brushless motors that reduce the friction between the motor and the rotor blades ensuring that you get a much stable flight. The MJX Bugs 2W is available on Amazon from different sellers including the manufacturer. It goes for between $170 and $200. 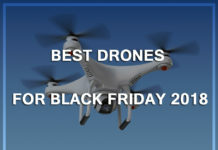 If you prefer it to the other drones on this list, ensure the seller ships to your country. When pitted against the 2C version, the MJX Bugs 2W is better, but it is far more superior to other entry-level drones. 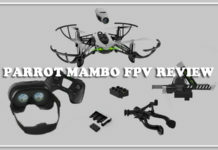 For sure, this is one of the best buys in the market today, and with the impressive FPV range, you will get an amazing time if you are into videography and cinematography as well as drone flying. This is one of the best selfie drones under $200. It costs a fraction of the ultimate DJI Spark, a much pricier drone. It has a foldable design and it allows users to take them everywhere. It has an amazing camera capable of taking 4K quality videos at 30 fps given the moderate price tag. 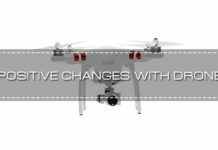 The camera also has digital image stabilization, but you will have to tone down the resolution to use the feature. It also uses brushless motors, which makes the Wingsland S6 more powerful and reliable than most drones under $200. You get 10 minutes of flight time on a fully charged battery, thanks to the brushless motors. You will get 80 meters of range between the drone and the controller. You also get a smartphone app with multi functions for flight control, video editing, video composition and more. 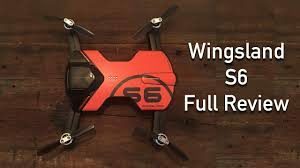 The Wingsland S6 has features you could find on $500 and above drones. It however goes for a fraction for the price at $199.98. 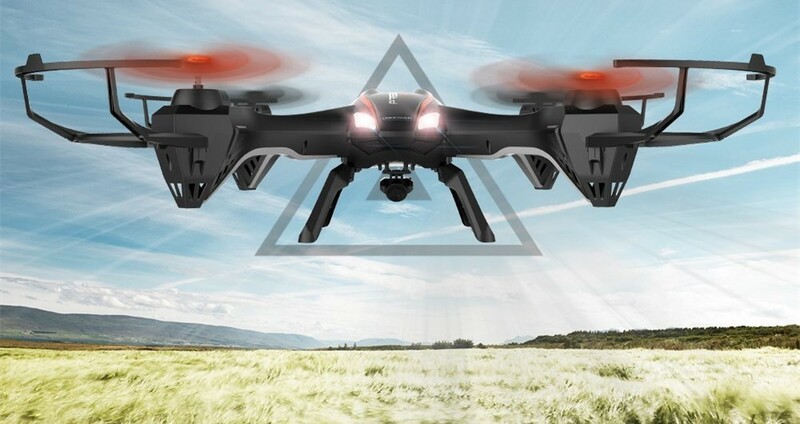 This is arguably the best drone under $200, and you are guaranteed of same day shipping. Getting the Wingsland S6 will be the best $200 dollar investment in a drone you will ever make. It comes equipped with GPS, GLONASS dual satellite navigation and so much more. It is easy to operate and carry around thanks to the foldable arms that make storage easy without breaking any part. 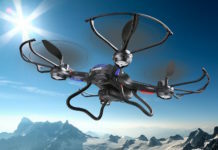 The drone market is getting more competitive with drones of various sizes functionalities and prices. It was not an easy task coming up with this list. 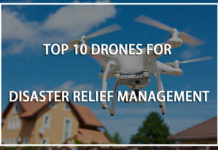 We had to invest time and resources asking for feedback from middle-income level drone hobbyists as well as different professionals to come up with the list. We also compared reviews made by drone enthusiasts, and we got drone test pilots to fly and give their unbiased reviews. All this hassle was to acquire data on the specs and the handling of each drone. 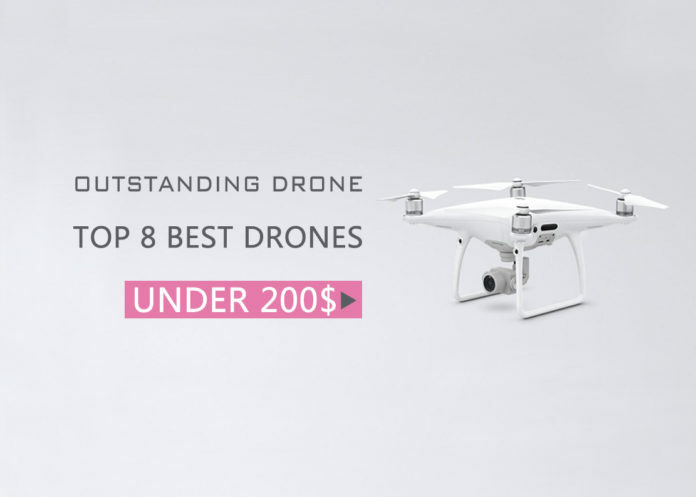 Afterwards, we used the following criteria to compile this list of the best drones under $200. When looking at the best drones below $200, you can be sure that you will get average flight times. On this list, we have drones that have flight times starting at 5 minutes to up to 15 minutes. The flight time is dependent on the battery power, and it helps to have an extra battery to minimize the drone’s downtime. For some of these drones, you will have to buy an extra battery while some manufacturers will include one or two extra batteries and a charging hub. We also looked at the motor and rotor blades quality, which come in handy when flying under extreme weather. We considered how the drone handles in various weather conditions as well as how easy it is to use. This is because we understand that even the most experienced drone flying professionals will be stuck in the first few tries. We looked for the drones that come ready to fly that also required little or no configuration before flying. 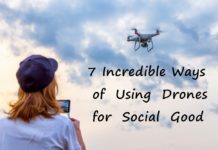 Most drones on this list will recalibrate the camera when it powers up, and take off with ease. Entry-level drones are mainly for beginner drone hobbyists, and they will crash it a few time before they learn how to control it. We looked at the drones that have rotor blade protection to minimize and reduce the force of impact when the drone crashes. 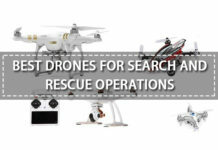 As you go up the drone ladder, you will get drones with anti-collision technology, but these drones under $200 will teach you how to fly without crashing into the obstacles into the drone’s flight path. Drone manufacturers are trying to beat the competition by installing smart features into all their drones. For this list of entry-level drones, we found some with GPS, altitude hold, various flight modes that make them able to fly outdoors and indoors with accuracy and precision. No matter how much money you are willing to spend on a drone, you ought to get your money’s worth. Some manufacturers will quote a hefty price tag and back it up with extra accessories. However, others will hardly provide the accessories you need, and they will try to convince you of the quality only for them to come up short. 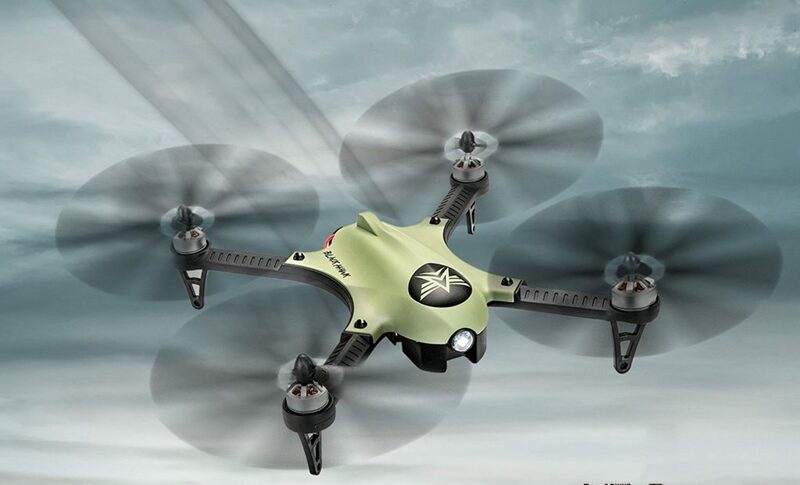 Consider a drone that comes with extra propellers and batteries, and more. In every industry, there are market leaders, and they take their brand image seriously. Go for trusted brands that keep upgrading their drones with new technology. Unknown brands that are just starting out will have a myriad of issues, and they will be at pains to offer the right service. Above this, go for Amazon sellers with a reputable record to avoid losing your money or getting a damaged drone upon delivery. This ought to be the last thing to consider. You need to have the specs in mind of the drone you want then do your research and compare it with other drones in its category. 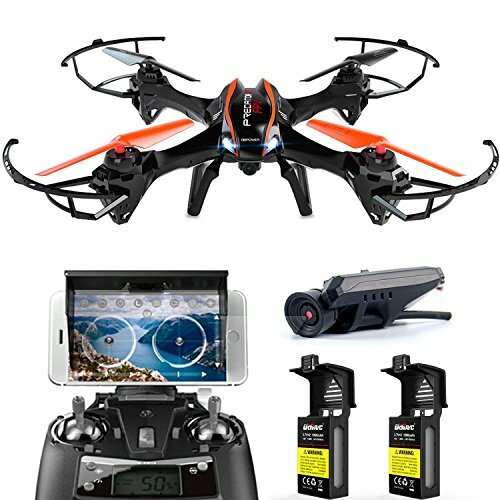 Make a price comparison and look into the accessories included and the functionality of the drone. Q: How do I make the battery in my drone last longer? A: Most drones use smart battery chargers that stop charging after the battery gets full. However, avoid leaving the battery on the charging hub; it takes on average 2 hours to fully charge a battery. Leaving them on will overcharge it and hence reduce the lifespan of the battery. 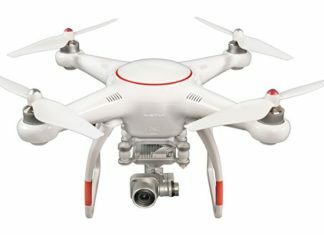 Q: How can I know the best drone to buy? A: The number of drones on offer in the market can be overwhelming. It does not help being that the information is full of industry jargon. We have broken the information down into understandable English. We have also provided a link to reliable sellers on Amazon. However, be sure to see that they ship the drone to your country and make the proper arrangements. Q: How do I buy the best drone? A: If you have ever owned a drone then you know what to look for in your next buy. For a first time buyer, it is much harder getting the best buy in the first strike. 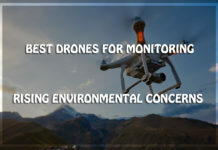 Whether you are a beginner or you have had a few drones before, our review of the best drones under $2000 and the criteria we used to compile the list will help you in making the right choice. 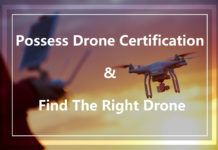 How to Possess a Drone Certification and Find the Right Drone?